Make water efficiency part of your organization’s lean mission to keep operating costs down as you grow. Make it a point of pride in conserving natural resources and protecting your water resources. It’s smart business. The water meter bill is only part of the cost. Metro area sewer fees are based on water use. Becoming water efficient reduces not only the water bill but the sewer bill too. Profitability comes from productivity, efficiency and management. The following steps will lead you on a path to success in water conservation at your facility. Engage Employees in Water Conservation Awareness. Implement a water conservation emphasis at your facility to educate and engage employees in water conservation. Employees may need to be shown how to use water efficiently and training should include information in on current water uses, water costs, and improvement strategies and brainstorming. Create incentives for employees to help motivate them in identifying ways to reduce water use. Getting commitment from staff is essential. To maintain momentum, gain management support and commitment. Show short payback periods to help prove water efficiency to gain long-term savings. Check out the water-focused technical publications WaterSense at Work and Lean and Water Toolkit with information on commercial and industrial process areas where water savings can most likely be realized. Aveda, Blaine, MN. Goal: research ways to optimize water usages (Meghan Pieper). *This 2018 project summary is not yet available . Kapstone Container Corp. Fridley, MN. Goal: research ways to reduce water, energy and waste (Ngan Tran). *This 2018 project summary is not yet available . Anoka-Hennepin School District, Fridley, MN. Goal: Water conservation opportunities for irrigation systems and improved soil conditions and turf grass health; annual water reduction 4.8 million gallons (Taner Glaza). Cemstone, Twin Cities Metropolitan Area, MN. 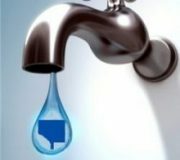 Goal: Reduce fresh water from product production and truck washout and identify improvements to water reuse systems; annual cost reduction $322,542; annual water reduction 16.4 million gallons (Brent Vizanko). ECO Finishing Fridley, MN. Goal: Researching water conservation opportunities in the electroplating process; annual cost reduction $93,395; annual water reduction 2.3 million gallons (Erik Anderson). Federal Cartridge Anoka, MN. Goal: Researching multiple water conservation and recycling opportunities including single pass cooling applications and other metal-forming manufacturing steps that incorporate washing and rinsing; annual cost reduction $94,800; annual water reduction 5.56 million gallons (Kaylea Brase). BUSINESS SPONSORS NEEDED. Consider sponsoring a Minnesota Technical Assistance Program (MnTAP) student intern for the 2019 summer semester to to grow and make your organization more efficient as you help America increase our supply of technical and engineering professionals that are always in demand. It’s not too early to discuss your project ideas for the 2019 Intern program. Apply Today or call Nathan Landwehr to start the process!